Axial CT of the pelvis with intravenous contrast demonstrates a contracted bladder (Y-shaped structure indicated by yellow arrow) with surround free fluid in the pelvis. 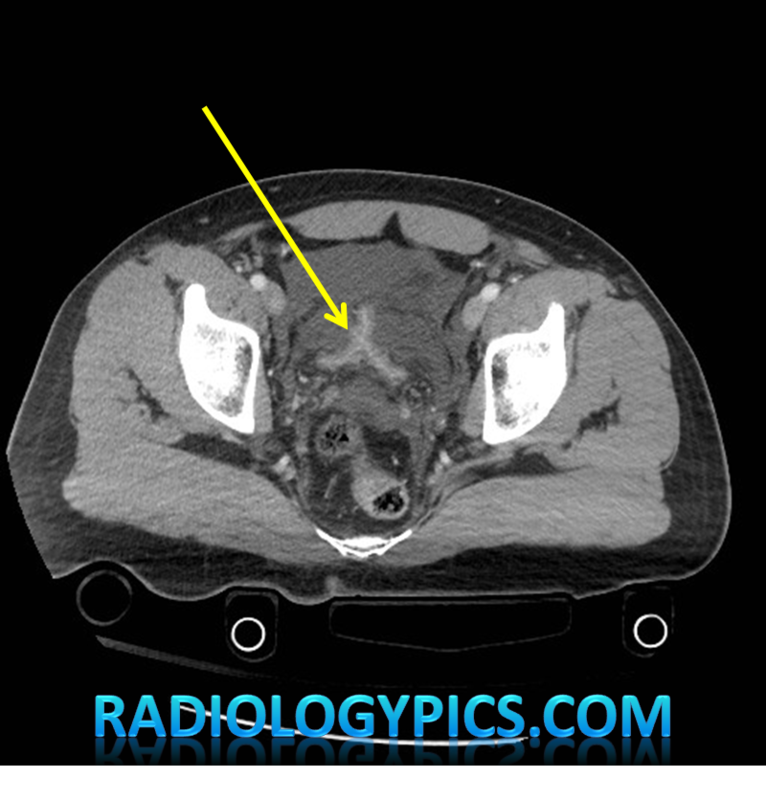 Sagittal CT cystogram demonstrates bladder rupture, with contrast confined to an extraperitoneal location (yellow arrow). A foley catheter is seen within the bladder, which was used to inject contrast for this CT cystogram. 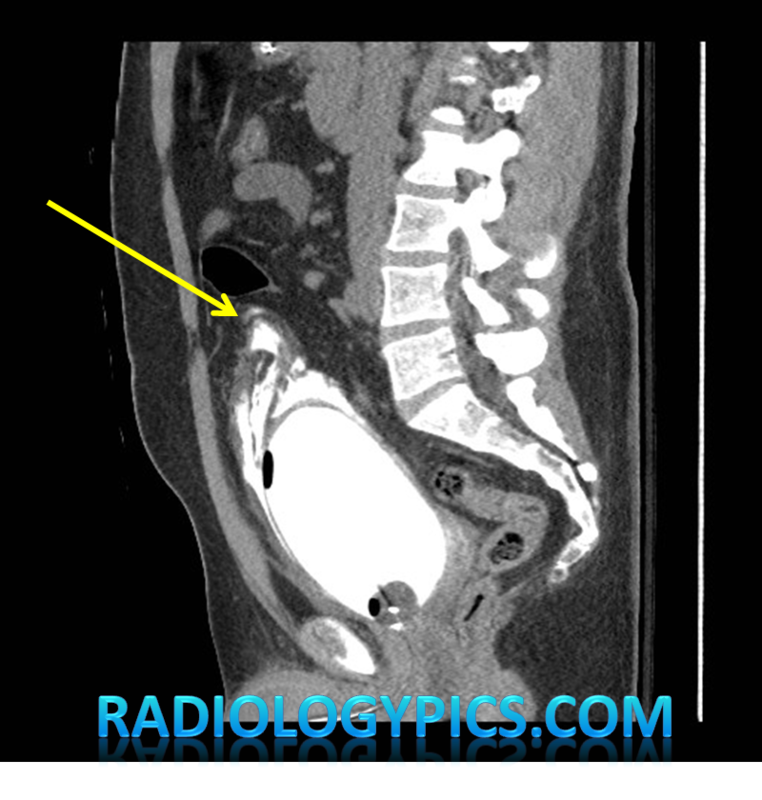 Type 4B: Complex extraperitoneal rupture (as indicated by extension beyond the perivesical space into the thigh, scrotum, abdominal wall, or retroperitoneum). In the setting of extraperitoneal rupture that demonstrates persistent bleeding, passage of large clots, or bladder neck injury, foley catheter drainage will not be sufficient and surgical management is still necessary.